For other locations and dates, keep it locked to http://reverencemovie.com. If you are interested in hosting a premiere in your neck of the woods reach out to ryan@cleverbearproductions.com for more info. We've had a couple premiers already and it's a great way to bring communities together to support local causes. Would be ace to see it as a ‘rent’ option too. Most films I watch I never go back to again. I know the royalties would not be as much but it widens viewer choice so maybe it would....just a thought. Not a fan of iTunes! @madmon: it says available for rent on iTunes on Dec 4. @sprockets: its a dissapointing watch....should have been free but thats me. I was lucky enough to check out Reverence in Reno NV for their 1st premier and with a number of the riders in the film. 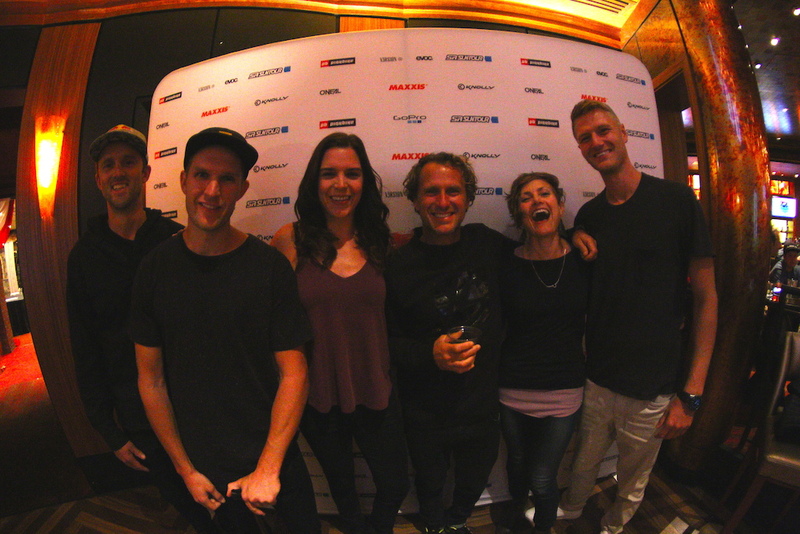 Good times sharing the stoke with them and knowing what the film meant to them. Doubled my luck to follow it up with my local crew in Madison WI for a fundraiser for our local trail group (thanks Dan Dacko and Reverence for making that happen). I've seen a lot of MTB films in my years riding MTB and very few taps into such a wide range of emotions. If you live anywhere near a showing of this it's really cool to experience the live showing with a bunch of other riders. Big props to the Reverence crew for putting out a quality film. Thanks Sprockets! Appreciate the positive review. Stoked you got to enjoy a couple premieres. Anyone have any updates on Paul Bas? Great to see him in that photo. He's doing well and has a new movie coming out in the near future. We're stoked to see it when it lands. Wish it was being premiered in Edmonton Alberta. Surprised with the Whitecourt Alberta Choice. We would love to help get one set up in Edmonton if there's interest. Its a good watch, but I think it's one of those where you have to watch it again to really appreciate it. Clipless pedals is my biggest fear. And Gee's fall at 00:25 can't help with that. Doesn't "Macduff" have an "a" in it? its a good watch....not enough females feature, too much rampage related and not enough of the athertons, reason i bought it....oh well. Which other female athlete should have been in the movie? Obviously Rachel is a great example of an athlete who's been injured several times and every time came back strong. Tracey Hannah would maybe qualify too. And Vanessa Quinn of course. Tara Llanes had horribly bad luck and sadly didn't make it back on the bike (or on her feet even). Sorry for being limited to gravity athletes. There sure must be some in XC racing too. @vinay: Tracey would be a great choice. Teacey has done a Ted talk on recovery and fear. i just thought, when i watched it, it could have been more representative. I would have loved to seen more on Rachel, Dan and Gee.